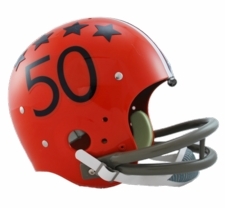 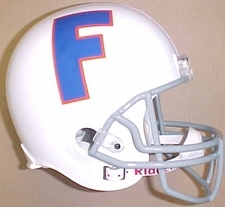 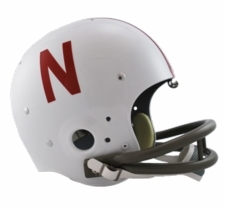 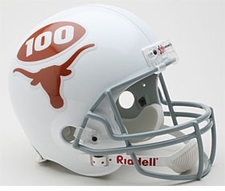 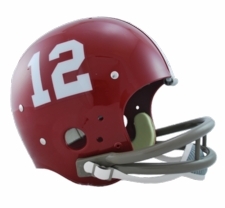 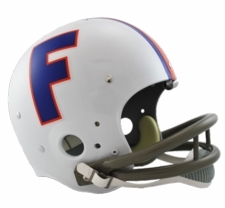 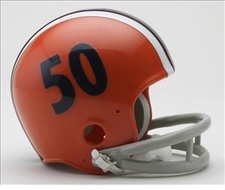 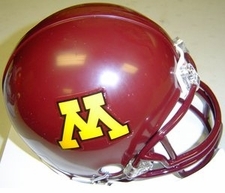 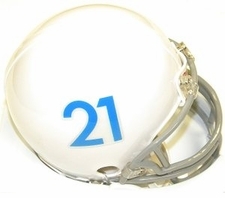 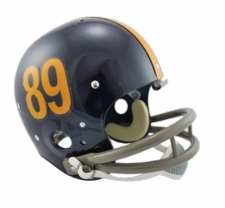 Find any full size NCAA Riddell throwbacks � we have Authentic Proline Throwbacks, TK Suspension 2-Bar Throwbacks, full size Replicas, and Minis. 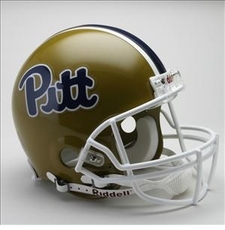 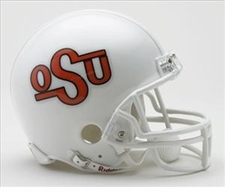 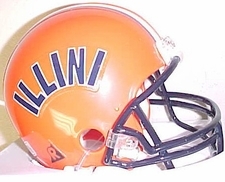 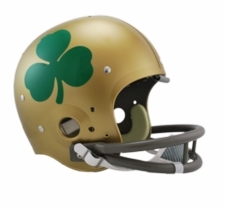 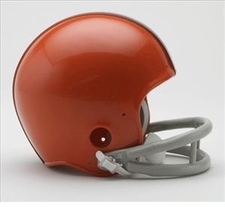 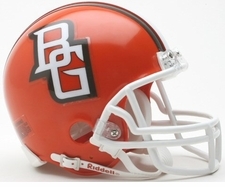 Return to the past and order your classical college team�s helmet � great for the collector, show off your school spirit, or these helmets are perfect for autographs! 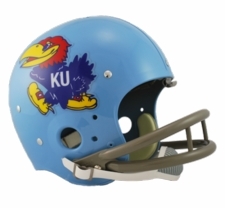 Authentic: Just like the college players wear. 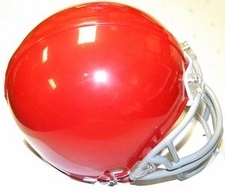 Officially licensed full size authentic helmets with polycarbonate shell and steel polyvinyl coated quarterback / running back style facemask. 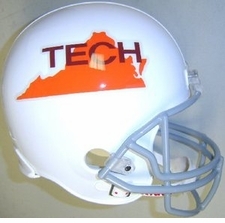 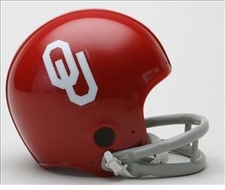 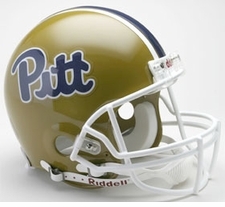 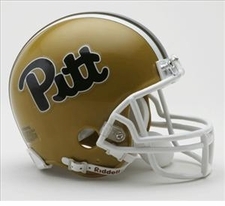 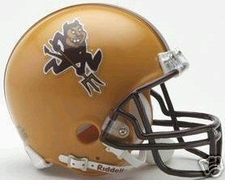 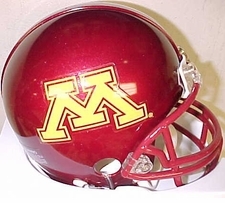 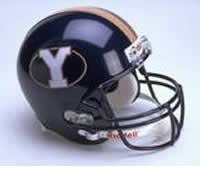 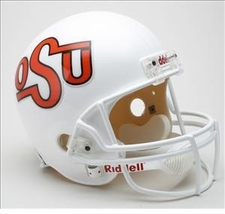 Replica: These helmets are slightly smaller than the Collegiate Authentic helmet. 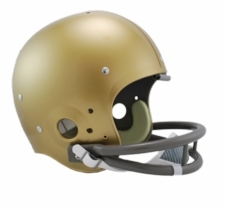 This deluxe helmet comes with decorative internal padding, a polyvinyl-coated steel facemask and a 2-point chin strap. 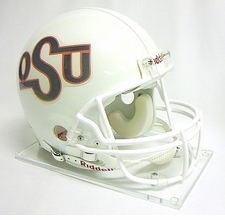 This is perfect for a display piece! 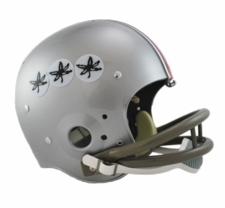 Mini: Riddell has borrowed a page from the past in bringing back the glorious grey 2-bar facemask in its replica mini Throwback helmets. 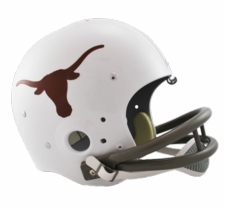 We've also resurrected authentic Riddell logos that are printed onto the chinstraps and back of the helmet, just as they were back then.